What happens to out rubbish and recycling? 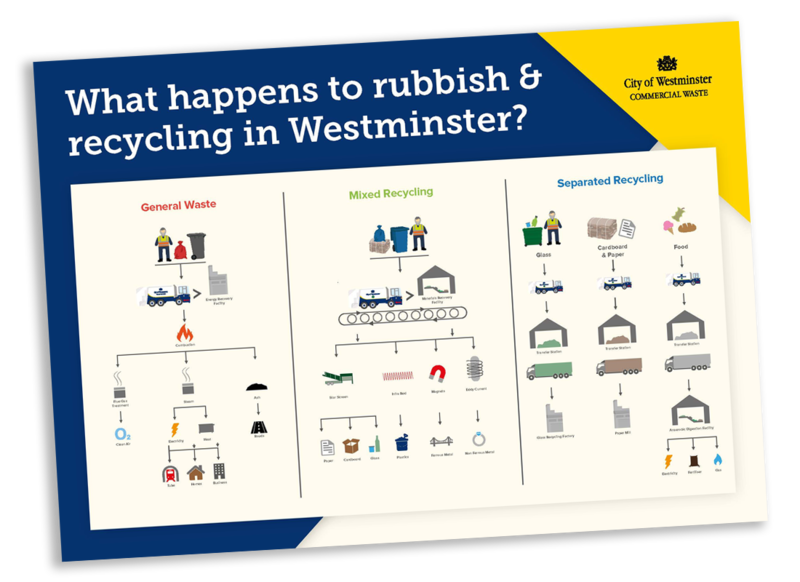 Download the full infographic that shows you what happens to the waste that Westminster City Council Commercial Waste Collect. You will see that everything we collect has another use!